Who built Stonehenge has long been the subject of debate among scholars. 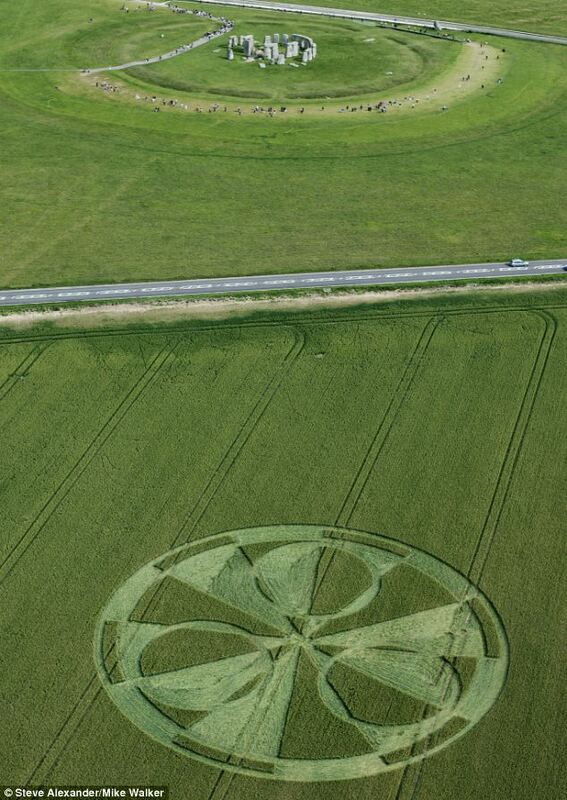 But now the ancient site has offered up another conundrum - in the form of a giant crop circle. This impressive 200ft design appeared within sight of the ancient monument yesterday. And as ever the debate will rise as to who is responsible. The ancient site is widely considered the most important prehistoric monument in Britain and is proving to be a hot spot for the phenomena this season. 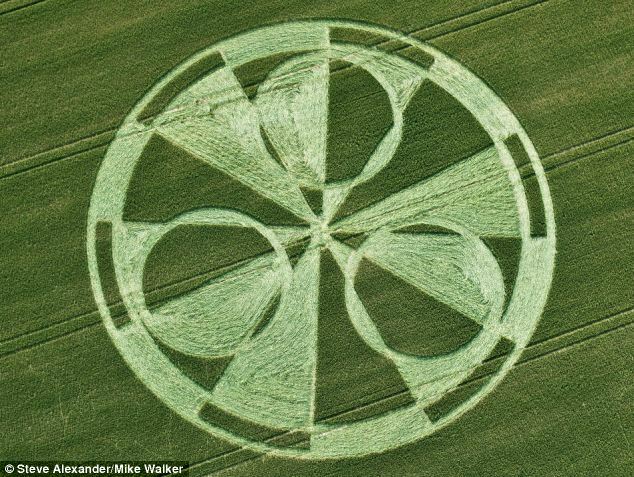 Yesterday's design is just the latest in a spate of crop circles to have appeared in Wiltshire in the past few weeks. Online enthusiast Eliakis Joseph-Sophia attempted to offer some explanation, believing the that the 'three half moons in the crop and that could indicate plans due to budgets in the third quarter. The mystery of how crop circles are created has never been solved although they are widely considered to be an elaborate hoax. Cynics have claimed the patterns are the work of computer scientists using teams of volunteers. However crop circle enthusiasts argue there are not enough hours of darkness in summer to allow them to be completed by humans. Many people believe the patterns are a message from extra-terrestrial lifeforms or even God. Another theory is that colossal energy is amassed above the earth in the ionosphere and then zapped towards the ground where it creates the crop circle usually on chalky ground in areas traditionally known for their 'energy lines' and mystical past.